Noun. 1: money earned after all expenses have been accounted for. 2: the benefit of something. 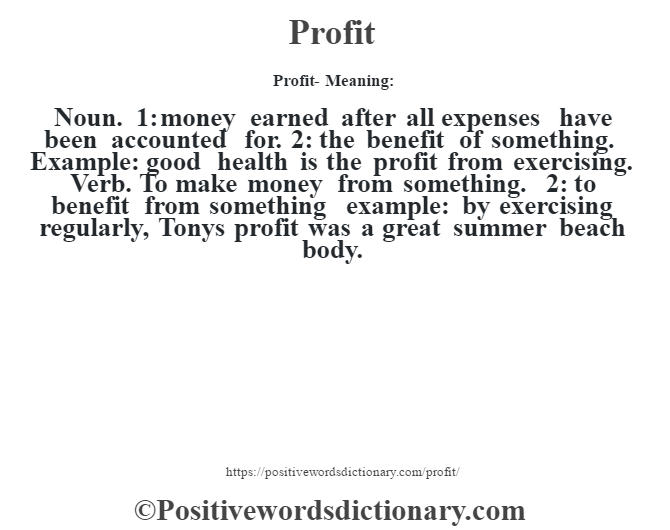 Example: good health is the profit from exercising. Verb. To make money from something. 2: to benefit from something example: by exercising regularly, Tonys profit was a great summer beach body.